By the time you have identified the right factory, you have likely already set wholesale and retail pricing targets for your product. This is critical when negotiating terms and conditions of your contract with the selected factory. A common error that many brands make when negotiating with selected factories is to drive the production cost as low as possible. This could be a good strategy when you have leverage, like the ability to place large orders, but when you are just starting up and the order value is somewhat limited, we recommend you actually pay 2-5% above market rate. This essentially buys you leverage with the factory to prioritize your production above the rest of the larger orders. 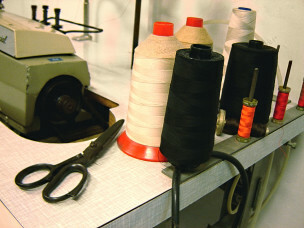 Most factories demand a percentage deposit upon the placement of the order and the remaining balance prior to the shipment leaving the factory. Factories can also demand a letter of credit from selected banks as a form of payment, especially when the order quantity is large. It is rare that factories would give out payment terms of net 30, 60 or 90 days unless you have a solid business relationship with them, and you should be very skeptical if a new supplier is agreeing to these terms as there could be other hidden factors. As mentioned earlier, two areas that are of critical importance when choosing a factory are quality and delivery reliability; they simply cannot be compromised and components of these must be included in negotiations. It is essential to establish the quality standard up front and sign off on the technical specifications and actual samples. As you negotiate and establish the terms and conditions of the contract, the factory has to understand that unless the quality standards are met, you will require compensation in the form of liquidated damages. This is often a hard term for the supplier to agree to, especially if the production quantity is small, but you must insist on including this clause in order to protect your brand in the long run. As for delivery timelines, a clear expectation must be set with the factory in order to determine the production completion date. A clear compensation schedule in the form of liquidated damages must be also established prior to the signing of the production contact if the delivery schedule is not met in order to protect the interest of the brand. Managing successful production operations is all about setting the right operational expectations and insisting upon frequent communication. Things always go wrong during production and you must be prepared to mitigate ad hoc operational issues that surface. It is important to have at least weekly operational meetings with the factories and all of the parties involved with a specific agenda to review the progress of the production schedule and discuss any non-time sensitive issues that have surfaced throughout the week. In addition, ask your factory if they use any type of online project management or production management tool. If so, ask for access to it to track your production progress and collaborate in the issue mitigation process. However, if the tech pack, sample making and material sourcing are done properly, the production management should be relatively straightforward. Bottom line: Don’t automatically pick the cheapest supplier. Have your finances in order so that you are prepared to show proof of funds to the supplier. You must include quality standards and delivery timeline promises in your contract to protect yourself and your brand. Insist upon frequent communication and take advantage of online collaboration tools. 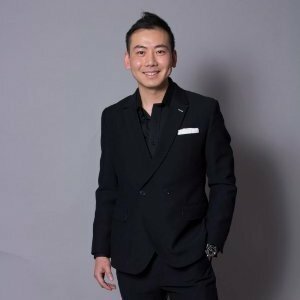 Aaron Luo is the cofounder and CEO of Terracotta Partners a boutique fashion production and sourcing agency based in New York City, specialized in helping start-up and scaling brands by managing their “on-shore” and “off-shore” sourcing and production operation. He is a contributor to the WeConnectFashion “How-To” series.